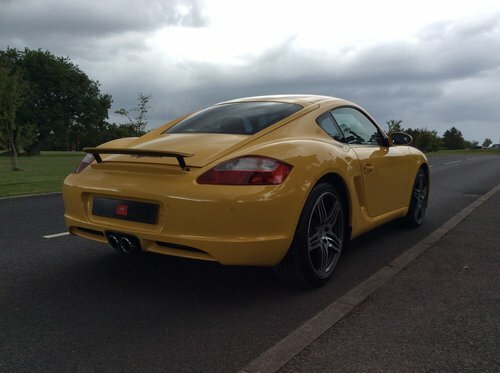 HILTON-BRIGGS SPECIALIST VEHICLES ARE DELIGHTED TO OFFER FOR SALE THIS EXCEPTIONAL LOW MILEAGE, 1 OWNER, PORSCHE CAYMAN IN THE RARE AND DESIRABLE SPEED YELLOW. 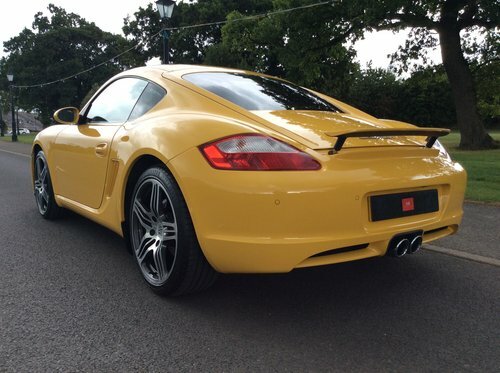 2.7 MANUAL PORSCHE CAYMAN 987 IN RARE SPEED YELLOW. 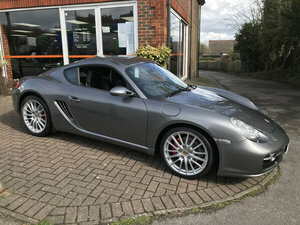 1 OWNER AND ONLY 27000 MILES. 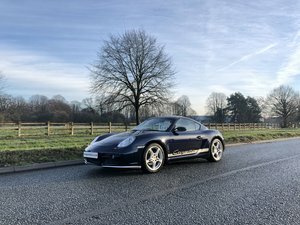 THIS BEAUTIFUL 1 OWNER CAR WAS PUT ON SORN FOR 4 YEARS AND DRY STORED UNTIL SHE WAS PUT BACK ON THE ROAD IN JANUARY 2018. 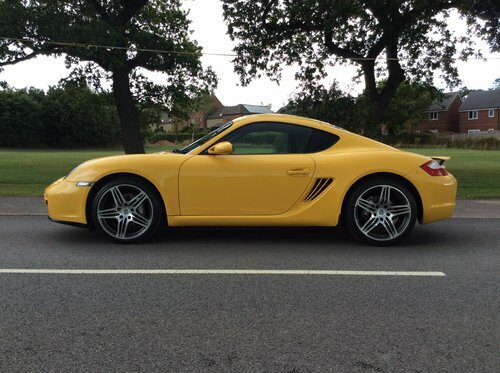 A DETAILED INSPECTION WAS CARRIED OUT FOLLOWED BY AN EXTENSIVE SERVICE WHICH ALSO INCLUDED 4 NEW TYRES AND A BATTERY, AS A PRECAUTIONARY MEASURE THE BRAKING SYSTEM WAS ALSO OVERHAULED, REPLACING BRAKE CALIPERS, DISCS, PADS AND FLUID FOR PEACE OF MIND. 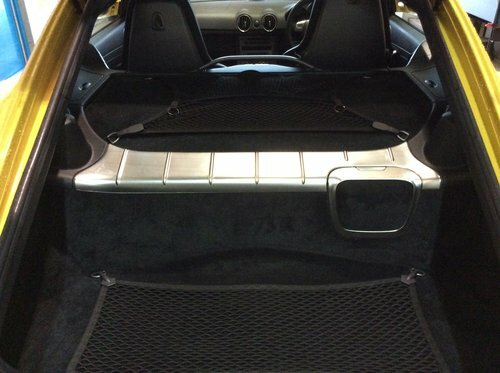 WE TOOK OWNERSHIP FOLLOWING OUR OWN INSPECTION AND HAVE SINCE REPLACED ALL THE WATER HOSES AND REPLACED A WINDOW REGULATOR. 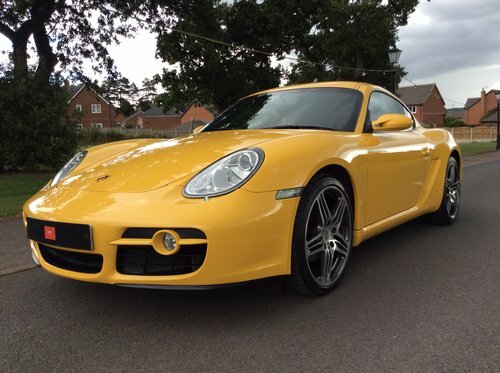 SUPPLIED WITH A FULL BOOK PACK, SERVICE HISTORY, BOTH KEYS AND A CLEAR HPI CERTIFICATE. 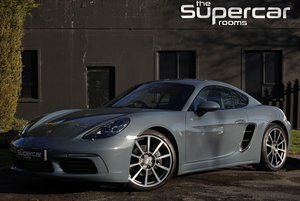 IF YOU ARE LOOKING FOR A SUPERB LOW MILEAGE PORSCHE CAYMAN FOR SALE, THEN LOOK NO FURTHER!